Magneti Marelli After Market Parts & Services, the Magneti Marelli company devoted to the sector of spare parts and workshops network and HKS (Guangdong Hao Kuai Sheng Automobile Service Co. Ltd), one of the leading Chinese companies in automotive maintenance services, have signed a technical-commercial agreement to cooperate in the aftermarket field throughout China. Under this agreement, HKS will use the insignia of the Magneti Marelli Checkstar brand for the opening of a series of workshops that will offer premium cars - both Chinese and international brands in China - services and qualified support, based on technical know-how and quality diagnostic tools. In return, the workshops that join the HKS program with the Magneti Marelli Checkstar insignia will purchase and distribute Magneti Marelli Checkstar-branded parts on the Chinese aftermarket starting with lubricants, brake pads and air and oil filters to which spark plugs, additives, batteries, light bulbs and GDI (Gasoline Direct Injection) injectors will be added in the course of the year. 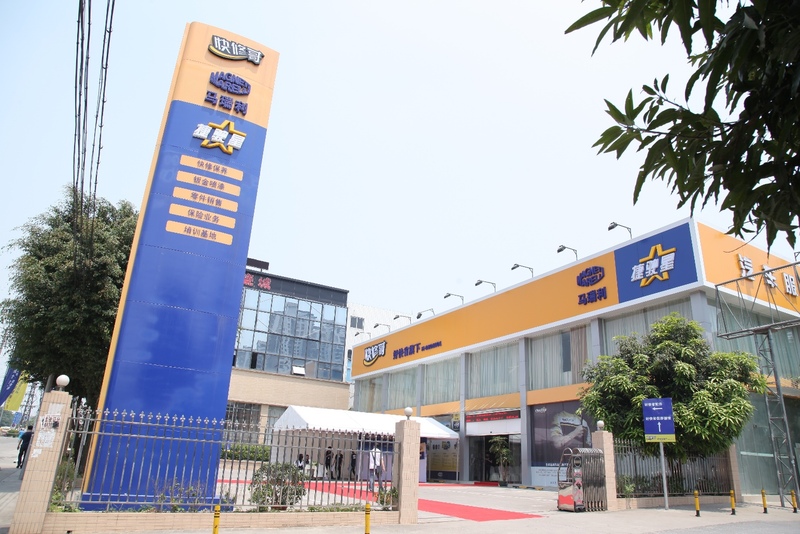 The first workshops with the Magneti Marelli Checkstar insignia, as a result of the technical and commercial agreement with HKS, were opened in the areas of Guangdong, Anhui, Shanxi and Hebei. Other openings are planned in Beijing and Shanghai. The collaboration with HKS also involves the opportunity to use the training programs of Magneti Marelli Checkstar at an HKS centre that is already active in Panyu and a new HKS training centre that is under construction in Huizhou. Magneti Marelli Checkstar has a network of approximately 5,000 workshops worlwide. It offers motorists support products and services across the "Checkstar Service Network" and is present with commercial activities in 4 European countries (Italy, Spain, Germany and Poland), in 2 countries in South America (Brazil and Argentina), in the United States and in Russia. It also covers, through the network of importers, over 80 countries in Europe, Asia, America, Africa and Oceania. It has approximately 600 employees and an overall turnover that in 2014 reached the sum of 374 million Euro.